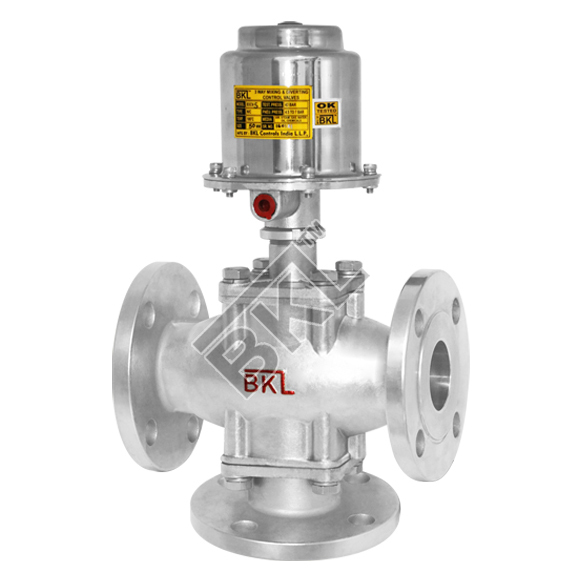 We are one of the leading stainless steel control valve supplier, manufacturer, and exporter in India. These valves are used in modulating control system. In mixing service, the three-way valve is configured with two inputs for supply and one for output. It is used to direct flow to the common outlet from any of the two inlets. Similarly, in diverting services, the three-way valve is configured with one input for supply and two for output. Stainless steel control valves are used to direct flow to any of the two outlets from a common inlet. Hence it is known as mixing and diverting control valve. Diverting control valves are more expensive than mixing control valves. These valves are available in different sizes, measurements and capable to handle the high temperature. These control valves are very useful in many industries because of their effective working to control flow, temperature, and pressure. They are mostly used in industries related to water and steam such as pharmaceutical, chemical, food processing, beverages, refining, and many others. Our each control valves are designed to meet with ISO standards. They are made with anti corrosive material to resist corrosion from industrial fluids. These valves provide complete solution where fluid control is problem. They can limit flow rate in constant and adjustable flow by reducing fluctuating pressure in constant pressure. Based on different requirements of flow control, orifice plate is default calibrated in factory. Our offered range of control valves are highly appreciated by customers for their many useful characteristics such as high strength, durable body, compact design and long maintenance free service life. 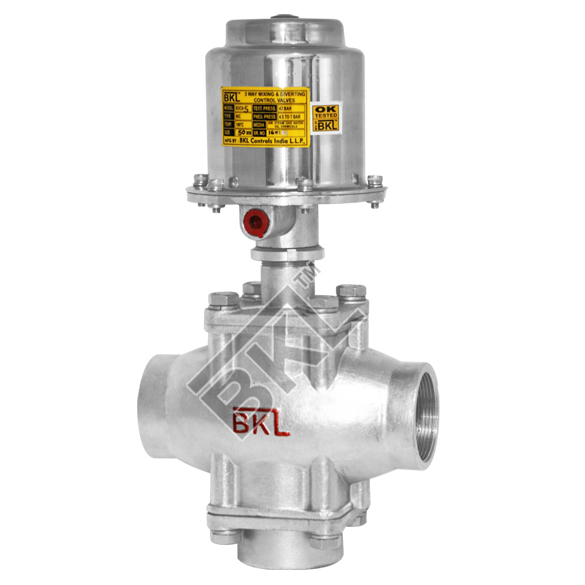 As a leading stainless steel control valve supplier in India, we offer these control valves to our all customers as per their requirement and specification at market leading price.